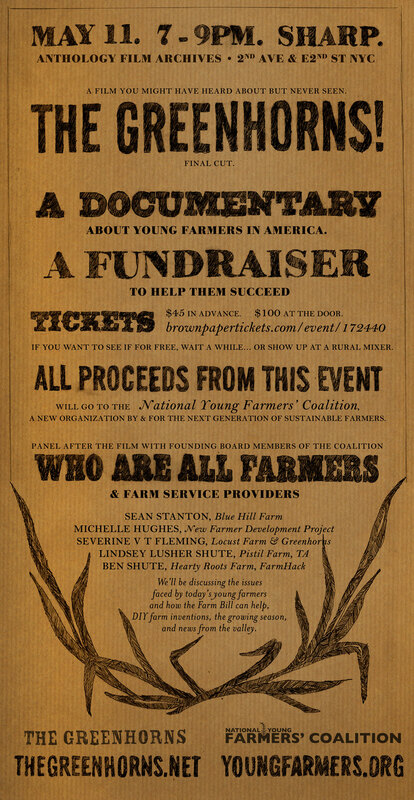 Followed by a panel of young farmers and farm activists. All proceeds will go to the National Young Farmers’ Coalition, and will help us send young farmers to DC this summer. Buy tickets for you and a friend! We’ve got 171 seats yet to fill.